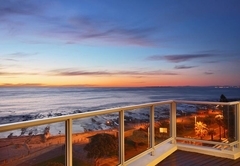 Penthouse @ 259 On Beach is a property providing self catering in Sea Point for up to 5 guests visiting the Atlantic Seaboard region. 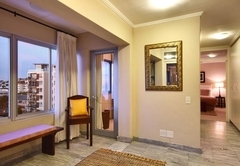 Penthouse @ 259 On Beach offers accommodation in a fully furnished and tastefully decorated apartment that provides all the comforts of a beach holiday establishment. 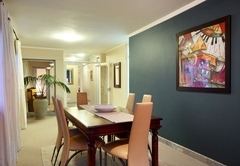 The apartment is within walking distance to buzzing Sea Point, Green Point, Mouille Point and the Waterfront where you will find a number of shops and restaurants. 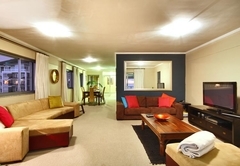 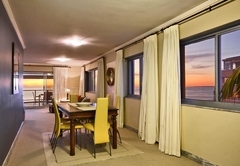 The self catering Penthouse @ 259 On Beach apartment has two bedrooms. 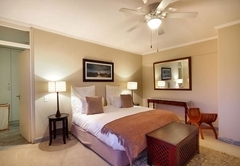 The main bedroom has a dressing room and a full en suite bathroom. 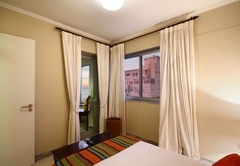 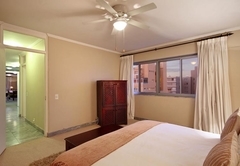 The second bedroom is furnished with a double bed and has a separate bathroom with a shower and toilet. 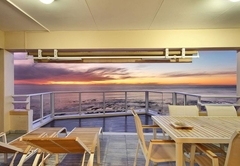 The open plan dining room leads into the lounge which has sliding doors out onto a large balcony. 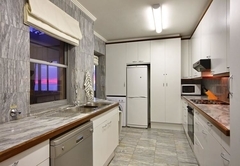 The kitchen is well equipped with a washing machine, microwave, dishwasher, fridge, stove an oven. 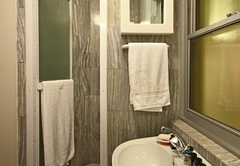 There is a separate scullery with a tumble dryer. 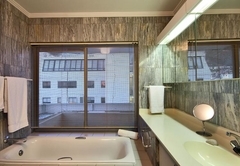 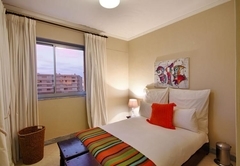 259 on Beach Penthouse is a spacious, secure 2-bedroom self-catering penthouse in a residential complex; situated directly opposite the Sea Point promenade with its span of beach and ocean on the corner of Beach and Worcester Rd Sea Point.